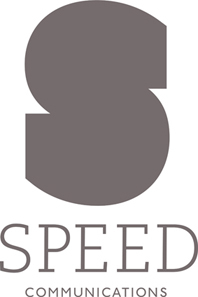 Speed Communications hit the headlines after emerging as the brand under which a number of agencies, including Mantra, Rainier and BMA would be housed. Led by joint heads Chris Measures and Gerry Grewal the tech practice counts clients such as Praxis, Liquavista and Geo - and attracted plaudits for a savvy campaign on behalf of ntl:Telewest Business in 2008. Telecoms 2.0 campaign for ntl:Telewest Business which combined digital and traditional media to create brand differentiation and drive a sales pipeline of £3 million. Digital and evaluation. 2009 is the year digital moves mainstream as tech brands realise they need to engage with these new channels to market. Irrespective of the recession this will drive PR’s business importance. Clients will be rightly demanding greater control, meaning that evaluation will become critical to winning and retaining business. Microsoft – the success of Apple and open source has put it on the back foot and ongoing cuts in IT budgets won’t help. It needs to find ways to re-engage with its audiences and show it understands and can meet their needs – PR will be central to this. We provide a comprehensive set of digital services that take clients through the whole lifecycle from auditing what is being said, creating a strategy to interact with digital channels to building profile by talking to the right audiences in the right way. Social media is not a discipline apart from traditional PR. Everyone needs to learn how to use it and to integrate it within PR programmes. At Speed we are all actively engaging with social media on a daily basis and our website (www.speedcommunications.com) acts as a digital hub for our social media activities. Our new Leicester Square HQ means we have to regularly cope with hordes of screaming girls camping out ahead of the latest film premieres.